There are so many great tricks that I have seen over the years that compiling my list of five greatest tricks this week is going to prove another very tough experiment in exclusion! I decided to continue in my previous footsteps as I compose my list and to keep the list highly personal and based on the impact that they hit me with as performed by specific performers. The Zig Zag Lady. While I am not much of a fan of Grand Illusion I would have to say that this effect is truly a classic and deserves to be very close to the top of my list. The reason is simple, it really, really fooled me for many years, and I just couldn’t get my mind around a solution. Eventually after seeing enough mediocre versions I tumbled to all the subtleties involved. I still wish I hadn’t. As presented originally by its creator, Robert Harbin this was an amazing visual mystery. The manner in which he presented it had a great deal to do with the stunning impact. 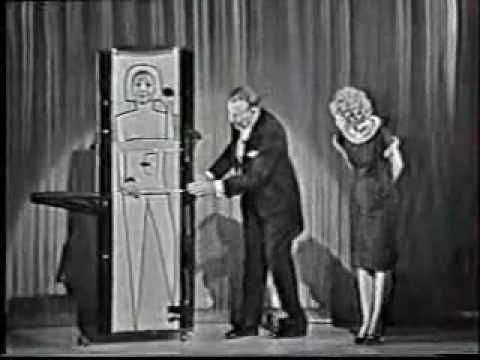 In a low key and casual manner Harbin would assemble the prop onstage, in front of the audience, before he presented it. This was amazingly strong theatre and made the trick even more astounding than it would otherwise have been. I have never seen anyone present the Zig Zag better than Harbin. Micro Macro. I first witnessed this masterful piece of magic performed by Jon Tremaine in the magic shop on Tottenham Court Road in London. He fooled me so much that I couldn’t believe I would be able to perform it myself after I purchased it. I got the trick home and was amazed at how simple Bro John Hamman’s thinking was in achieving such an amazing effect. It was simple but oh so subtle. Would it actually fool anyone when I presented it myself? After a little practice the answer was YES—everyone. 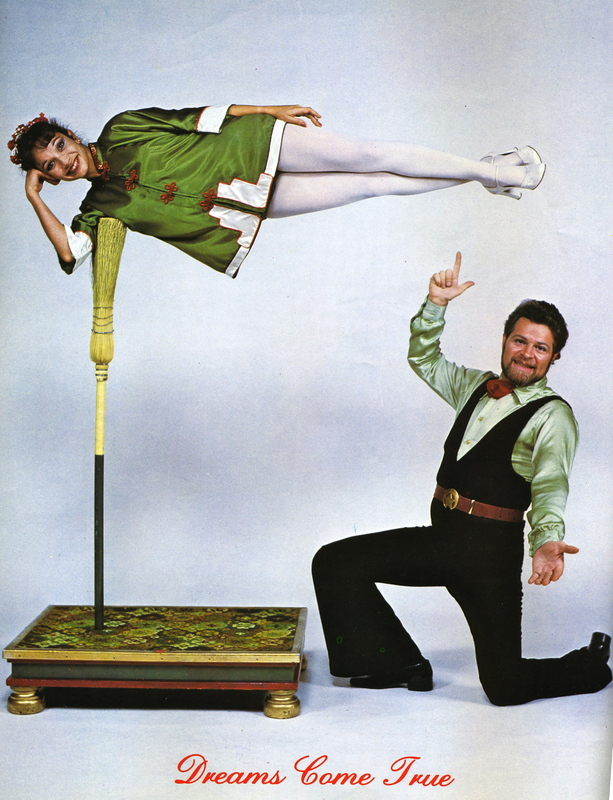 Years later I was fooled all over again by the same trick when I saw Ron Wilson perform it in the Close-Up Gallery in the Magic Castle. When Ron stood up at the completion of the trick it was a total mind blowing experience to me. It was a perfect blend of performer and material. Card Under Ashtray. I don’t think I have ever witnessed finer misdirection than standing around in Davenports Magic Shop in London watching Pat Page improvise around this effect. It was a lesson in magic that I will never, ever forget. It was one of the first times that I realized the incredible effectiveness of being able to repeat an effect. Every time my card arrived under that overflowing ashtray on the counter I gasped in amazement at Pat’s ability to break one of magic’s ten commandments as demonstrate the power of repetition made possible by faultless technical skill. The Vanishing Birdcage. I am not much of a fan of this effect generally speaking, mostly because it usually doesn’t looks that much like a real birdcage. Couple that with the incredibly unnatural manner in which the cage needed to be handled and it ended up leaving me cold, until I saw it performed by Billy McComb.There is a wonderful video of Billy performing it on YouTube that perfectly captures his masterful presentation. The freedom with which the cage was handled in the method McComb used was the first quantum leap forward in his routine. Without going into details, the amended prop and the handling it allowed just put the trick into another league. The finishing touch was the way the cage seemed to vanish under a translucent handkerchief, it was so much more effective than the standard vanish. When that silk floated gently to the ground the illusion was perfect. The Broomstick Levitation. Watching the great Richiardi perform this effect was a pure magical treat of the highest order, however I am going to focus here on another performer and his remarkable handling of this seminal piece of magic. That magician is Piet Paulo and unlike most of the other performers I have listed here I am happy to say he is still with us, although sadly no longer performing on a regular basis. 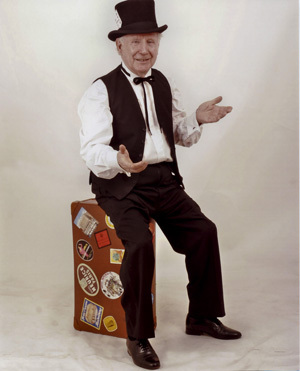 You will have to wangle an invitation to his grandson’s next birthday party if you want to catch this legend performing. Piet had a handling of this classic effect that was a masterpiece of angles. Every movement and the placement of each and every prop were psychologically and esthetically perfect to maximize the illusion. I must have seen him present the broomstick live on scores of occasions and it never failed to give me a thrill. The way he handled the applause points in the effect are a lesson in showmanship that bears a great deal of study by aspirant magicians. ~ by Nick Lewin on April 4, 2014. For years I wondered did I or did I not see Robert Harbin perform the Zig Zag in the “big room” downstairs at the Magic Castle? I asked Ron Wilson and Max Maven, but both said that they did not think so. Tim Glander came up with the answer when he showed us a photograph of the board at the Castle, which must have been taken around 1975. On it was Robert Harbin in the Palace of Mysteries and Nick Lewin in the close-up room. I remember going to Hollywood Magic and in my slimmer days fitting inside a Zig Zag illusion. All I can say is that you must be extremely limber. My top hat goes out to you ladies who perform this classic feat of magic. I wish I’d not been working the Close Up Gallery that week! Hell, I WAS working it with Jules though!